I was poking around on Mountain Project and came upon this comment from Todd Townsend, 20 May 2015 in the discussion of the Fashion Slab, Pine Creek: "No info on MP yet", look for it in Tai's guidebook, hopefully due out sometime this summer". Is there a new Pine Creek Canyon guide in the works? Mp shows a huge number of new routes not in the Croft / Lewis guide. Today Lori and I did Merman, 5.7+ both pitches, excellent, very accurate MP route description. There is a guide in the works, but I believe Tai recently said that things are going slow. Can't speak for him, or his target date, but it sounds like it may not be just around the corner. MP has only a subset of the new development. A sizable share of it hasn't even made it there, just depends on who the developer(s) were/are. The old Lewis/Croft guide is pretty sparse at this point. Until the new guide shows up, I would suggest going by Wilsons and checking at the climbing counter. Tai was maintaining a loose leaf notebook that was the most current and complete information. And of course, check MP since at least some of the developers are posting route information. Plenty of busy bodies actively developing in PC. At the rate development is going on right now it's got to be a huge effort to keep up with it for a guide. Routes are going up at an astonishing pace. Every time a go there is something new. The quality of most of them is amazing as well. It's actually pretty nice to see all these guys putting in the work so lazy bastards like myself can just climb. So thank you to all you guys doing the grunt work. Not sure what info you're looking for, but there is a MP site for Fashion Slab that has most of the routes (I actually put it up ;-). Would recommend Blue Steel, it's a lot of fun. Crack of Noon Buttress, down the hill, also has some fun routes. Tai is putting out a guide, but it is a huge project. The route development is really astonishing. I worked on a PSOM topo for SP last year and there've been at least 8 routes that have gone up since then and more current projects on the way (and that was considered a fairly well established area at the time). I think most FAs are posting their new routes on MP, mainly because they want them to get climbed ;-). There's also a bit of hedging going on in terms of info, but you just have to go with the way things are. Ahh Jeff, you're so consistent. The girl doesn't like you anymore, get over it. It's all good, I dislike climbing with most but not all gals. Not that fun. Not sure who you encountered while there, but most of the attitudes I've dealt with were from out-of-towners (aka Los angelino-f*#ktards). 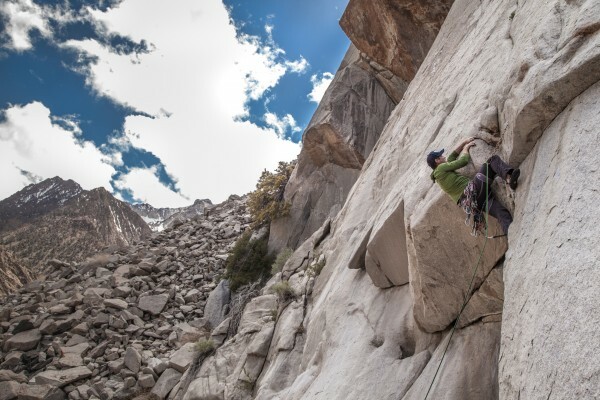 There are a few under friendly climbers in the Bishop area, well actually most of them are from Mammoth, but for the most part the "locals" are some of the friendliest people I've encountered. Sorry you had this encounter, I highly suggest you go and talk to Tai at Eastside Sports, he is probably one of THE friendliest guys on the planet. I know I appreciate how friendly the locals in the Tahoe area are (after they find out I'm not from the Bay). 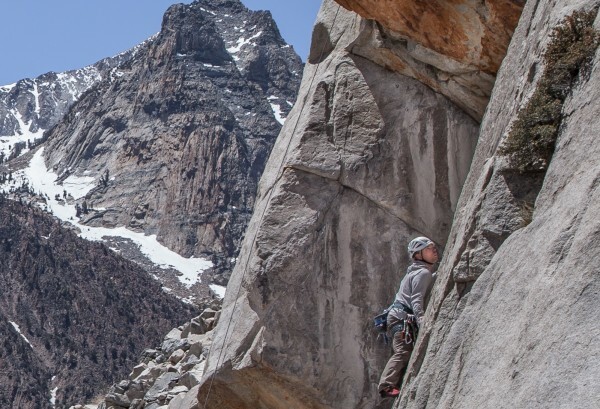 As to the Pine Creek Guide book, I think Tai enjoys putting up new routes more than dealing with all the intricacies of putting a guidebook out, especially one that will instantly be outdated! Tai and the other locals I have met have always been friendly and helpful. Sorry you had a bad experience. +++++! for Tai. Awesome guy. Check out his topos at Wilson's. Tai is the guy, and he's enlisted a few other dedicated folks to help, so things are progressing. Last time I talked to him, he had cataloged over 500 routes up there, so it is a big project. As previously stated, there is still a ton of development happening, and I've been trying to put info on MP for the routes that I've been involved with. My best guess is that the book might be done for next spring/summer, but you should check with him. Sorry to anyone who's had a bad experience. I think that the local Bishop scene has been the friendliest and least ego-driven of any that I've experienced. Feel free to PM me, or drop by Eastside Sports when I'm working, for beta or to chat. I have to agree with the majority here. I'm from way out of town but I've never had anything but great vibes from all the locals I've encountered around the entire eastside climbing scene. Thanks to all of you for putting in such fun routes. And good luck to Tai (who is the nicest person on the planet) in the thankless task of a new guidebook. Heading up there now to finish proj, start new one and continue getting destroyed on one I haven't red pointed yet. Curious why there's a chain draw on that line? Anyone have an update when the guide book will be out?